“I had been craving these foods for three years,” Muhammad said, counting the years since he left Syria. 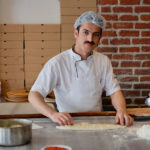 “When I tasted them, I remembered my childhood … the happy days [in Syria] when we used to have big meals at my grandma’s house,” he said with a pang of nostalgia. That’s not a coincidence. 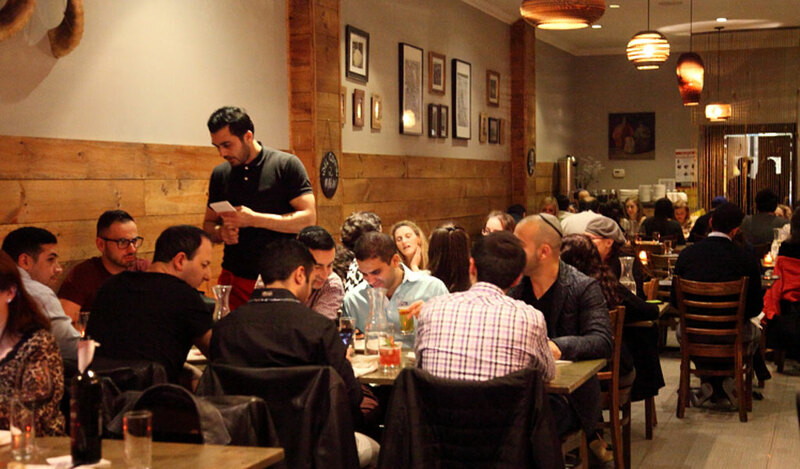 Saruja’s owner, Bilal Khalaf, ensured that the food tasted as close to his mom’s as possible. For a full month before Saruja opened its doors, Khalaf ran taste tests daily, inviting his brother and friends to give feedback. “My mom was here at the time and I’d bring her to try the food.” Khalaf’s mother had been visiting from their hometown of Damascus, where she still lives. 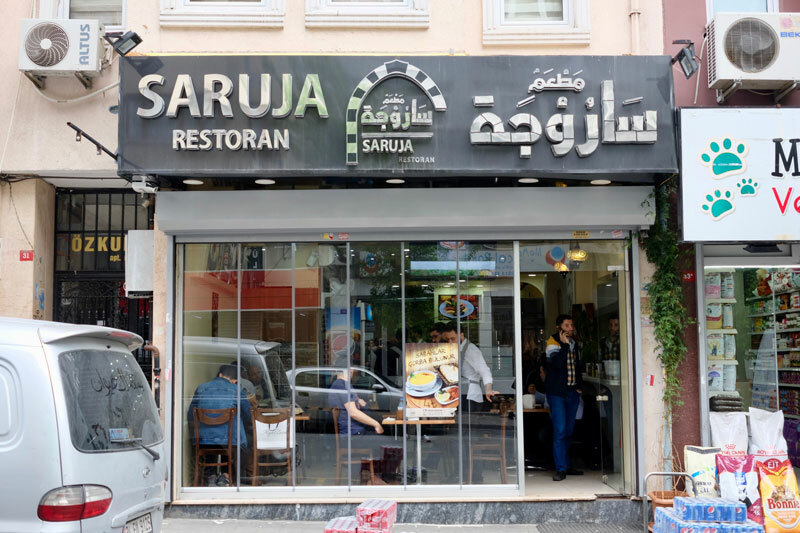 Dishes with a base of hot yogurt are a mainstay at Saruja and the ultimate Damascene comfort food, as compared with the creative kebabs and kibbehs (oblong dumplings with a shell base of bulgur, often stuffed with ground meat but sometimes vegetarian) from Aleppo. 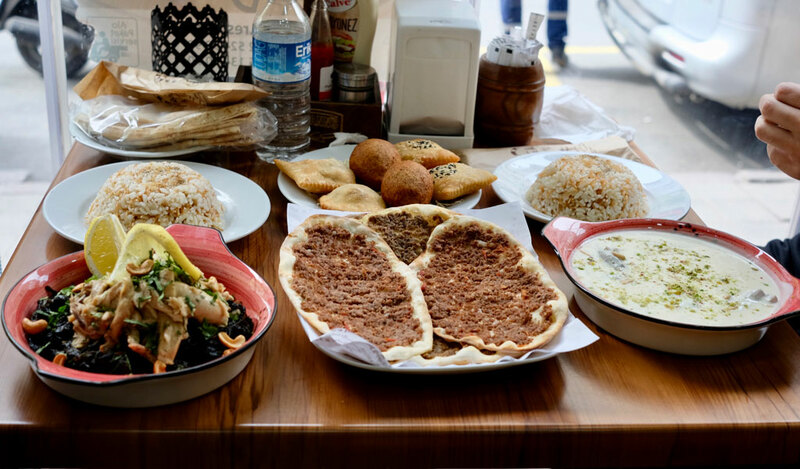 Where the cuisines from Syria’s two largest cities collide beautifully is in a dish like kibbeh labaniyyeh – the dumplings made with spiced ground beef or lamb and pine nuts, served in a silky smooth yogurt sauce. 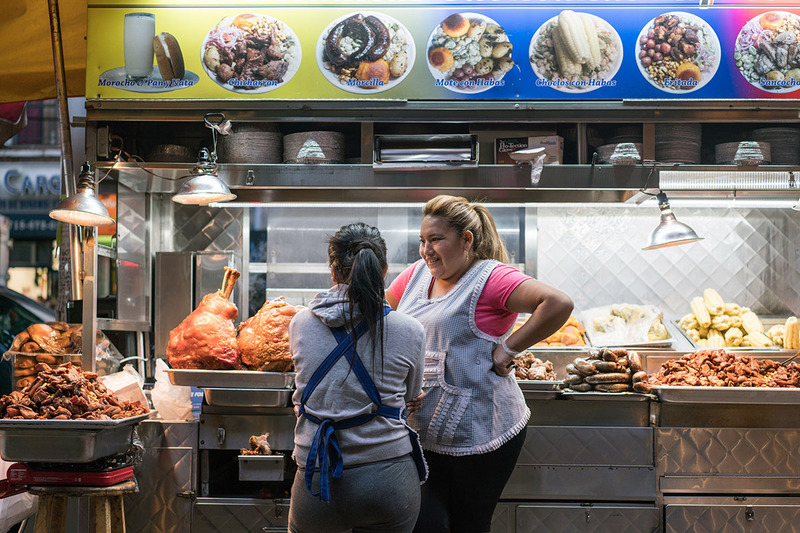 “Thankfully, when we were younger my mom would have us help her in the kitchen,” he added. 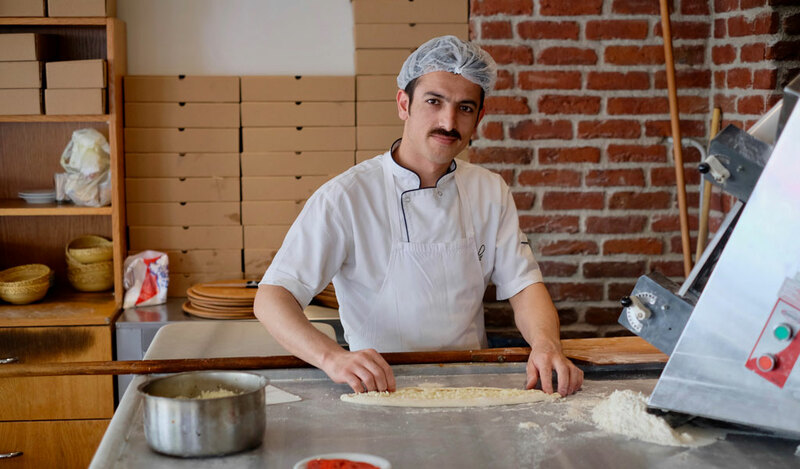 Rarely are dishes from the home kitchen served in Syrian restaurants, but as Syrians have become unstitched from their usual communities and flung far from their moms and grandmas and aunties, Khalaf knew there would be a demand for home cooking. He knew from personal experience. Until 2013, Khalaf ran computer stores throughout Syria and in the United Arab Emirates, where he, his wife and his three daughters were living. 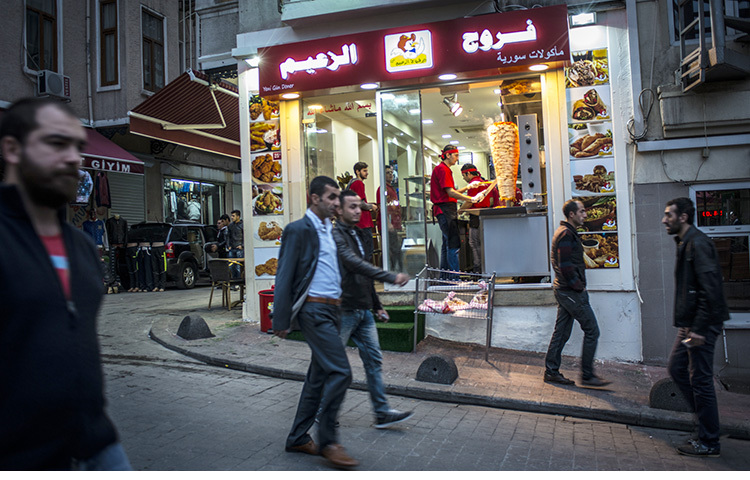 But as Syria spiraled deeper into political and economic crisis, his shops were shut down, and eventually he had to sell the rest of what he had to survive. “I ended up sending my wife and kids to Istanbul because life in the UAE was too expensive,” he recalled with deep sadness. 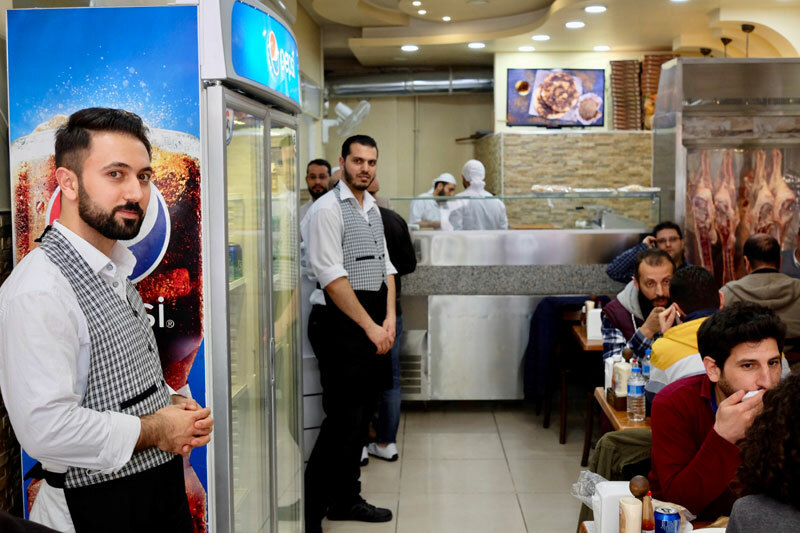 With no job and his family far away, he’d eat at a Syrian restaurant in Sharjah – an emirate in the UAE with a significant Syrian population – called Khobz wa milh, the Arabic version of “breaking bread”. 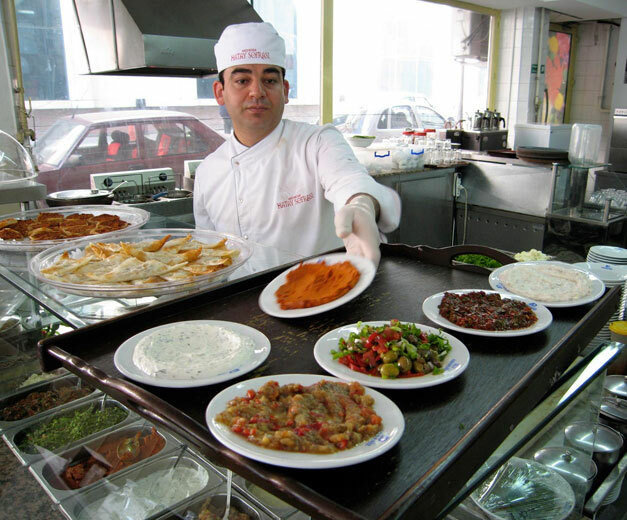 The eatery became successful under Khalaf’s management, and the owner offered to finance another restaurant. “I told him I wanted to open it in Istanbul.” And so, Saruja was born. 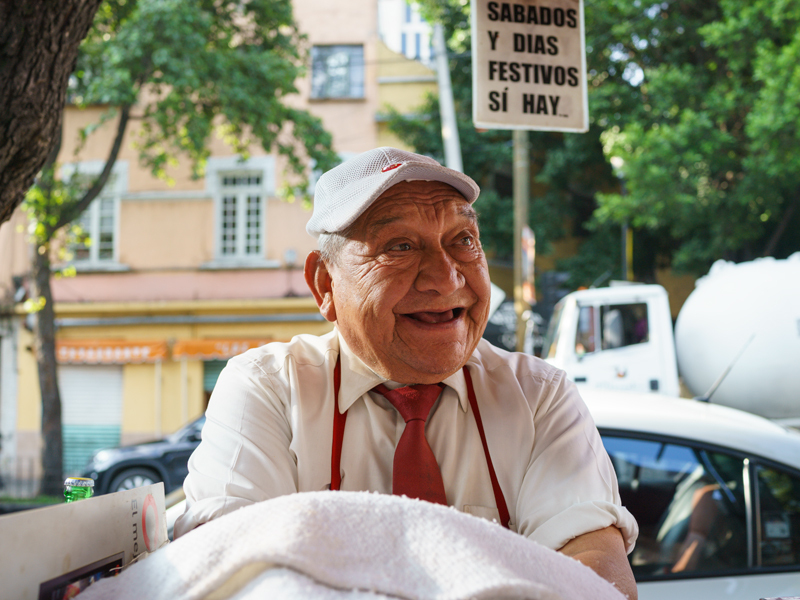 Khalaf put deep thought into every detail – even the eatery’s name. Saruja is the oldest part of Damascus outside the city’s ancient city walls and the first place the Ottoman Turks settled when the empire expanded into the Levant in the 16th century, he explained. 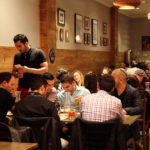 Beyond classic starters such as hummus, falafel and mutabbal (a smoky eggplant dip with tahini and garlic) found in Levantine restaurants across the globe, Saruja serves a few fixed dishes for lunch and dinner every day, plus a rotating menu of daily specials. Saturdays are for sheikh al mihshi, my friend Muhammad’s favorite, and the waraq enib are now served every day. Any day of the week one can also order the kibbeh labaniyyeh, and while it tasted so close to the version I had growing up from my grandmother’s kitchen, there was a pinch of something special that took the dish from great to “foodgasmic,” as Muhammad calls it. “Ah, there’s a secret ingredient,” our friendly waiter, Ayman, joked with a broad smile. “Our chef adds a small topping of garlic and cilantro.” He added that the flavorful garnish is unique to Damascus. The combination of sautéed garlic and cilantro is a mainstay of many Damascene dishes, but rarely is it incorporated into the hot yogurt sauce that defines Syrian comfort food. And with that comfort food comes a comforting environment. The distinct masculinity that can define the usual Middle Eastern eatery is softened, embodying Khalaf’s own gentle, but dignified persona. The service is warm and welcoming, and the servers dish out their smiles as generously as they do Saruja’s delicious meals.